Is there a separate internet for the Ukraine, or for music from the Ukraine? 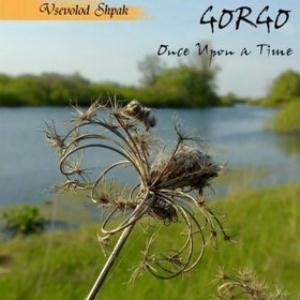 Perhaps searches using Cyrillic would yield more than a terse and inadequate bio for GORGO, most of which is concentrated on their second release via Musea Records. While I cannot find any Latin alphabet reviews for "Once upon a time", one well worn cliche deserves another: the music on this instrumental production speaks for itself. Without the benefit of the instrument list let alone credits, I can describe this as generally pastoral chamber prog with plenty of flute and oboe along with strings and prominent bass, perhaps of the acoustic variety. Winds from across Asia, Africa and the Middle East are swept into the mix. The themes are relatively simple without being simplistic, but "Orch" is a bit too Bolero-like, leaving me to wonder if other composers are also targets. The succinctness of "Tiny Greatness" draws me in the most, with a fragile then dancing flute over acoustic guitar, working in some unobtrusive organ and harp along the way. Similar to HOSTSONATEN's seasonal works, I find GORGO a less frustrating listen, more successfully negotiating the at times disparate influences. More electronic elements blend in as the album matures, taking a shape that would become more familiar on the following album. These include synthesizers, even a quavering mellotron perhaps on "Toy", and an arsenal of percussion on the closing number. The moody "Crusade" is not without similarities to eventual label mates ARTSRUNI who interestingly released an album called "Cruzaid" some years ago. ATILA KOLLAR also comes to mind. While not as earth shattering as earth spanning, "Once Upon a Time" is a promising start to an eclectic story, but where it leads and ends is anyone's guess.